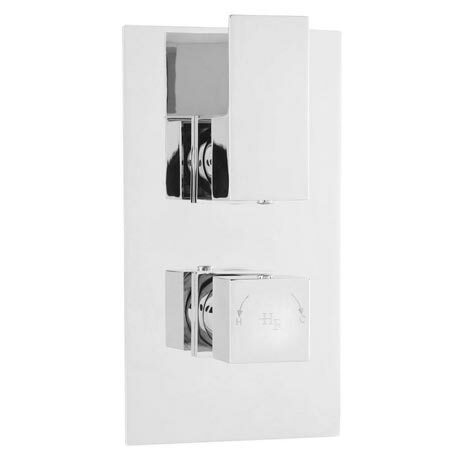 The Art Twin Concealed Thermostatic Shower Valve with Square face plate from Hudson Reed, this Concealed Thermostatic Twin Shower Valve offers thermostatic showering via two easy-to-operate controls. Suitable for all types of plumbing installation this shower valve has the added safety benefit of a built in anti scald device should the cold water supply fail. Bring the latest in design to your bathroom with the contemporary Art Range, features a practical lever handle. Separate controls for temperature and flow. Operates one shower accessory: fixed head or slide rail kit (sold separately).